Marvel Studios in association with Walt Disney present the Avengers:Endgame, one of the most anticipated movies of 2019. This is a sequel to the 2018 Avengers: Infinity War which became a blockbuster worldwide. This next installment of Avengers series will release on April 26. Avengers:Endgame will release in many regional languages in India including Tamil. Here is where it becomes interesting. It was earlier confirmed that AR Murugadoss is penning the dialogues for the Tamil version of the film and now it is confirmed that Vijay Sethupathi and Andrea Jeremiah are an official part of the crew. 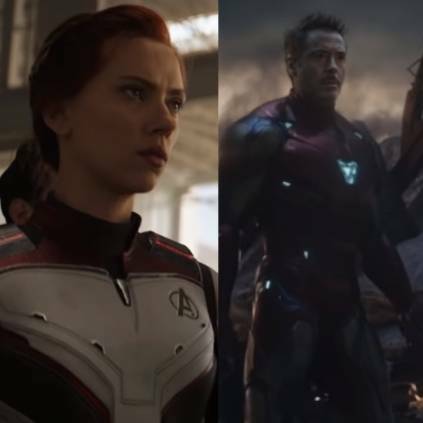 Makkal Selvan has dubbed for one of the lead characters of the story, Tony Stark aka Ironman which is played by Robert Downey Jr. and Andrea Jeremiah has dubbed for Natasha Romanoff aka Black Widow. People looking for online information on Andrea Jeremiah, Anthony Russo, Avengers Endgame, Joe Russo, Marvel Entertainment, Marvel Studios, Robert Downey Jr., Vijay Sethupathi will find this news story useful.